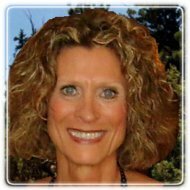 Frisco Therapist: Jeanne Curtis - Therapist 75034. Send A Message To Dr. Curtis. I have worked in the mental health field for 40 years, earning a Master's Degree in 1975 and my doctorate in Clinical Psychology in 1987. My career began with Child Protective Services and a residential treatment program for adolescents in Houston, to the Child Sexual Abuse Treatment Unit at the Juvenile Court of Cook County, Chicago, IL, to an inpatient mental health hospital in Minneapolis, and finally to private practice since 1991, with licensure in three different states. My goal is to offer excellence in psychological services to individuals, couples and families, from adolescence to senior adulthood, of all cultures, races, religions, and sexual orientation. I work with clients struggling with depression, anxiety, trauma, addiction, grief and loss, relationship issues, and other behavioral and academic difficulties. I also work with military families who are dealing with deployment or reintegration issues, helping them to strengthen their relationships and adjust to the changes they face. And as a cancer survivor, I welcome other cancer survivors and those dealing with chronic illness and their families, to help with the many issues they encounter. Confidentiality and patient satisfaction are essential components of the care I provide, based on collaboratively established treatment goals and priorities, determined with the client. I believe that people can be helped to develop their full potential through psychotherapy, continuing to grow, appreciate their own competence, realize their potential, and live lives full of promise and joy.